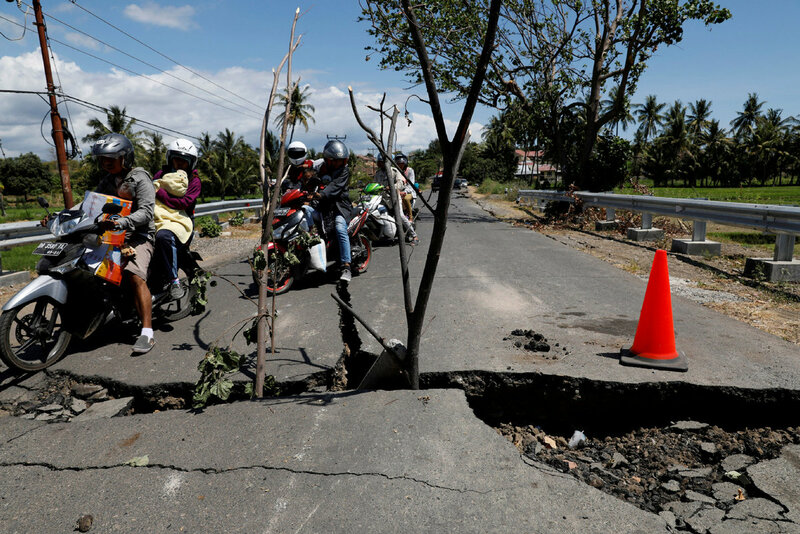 Indonesia's geological agency said the quake Thursday afternoon had a magnitude of 6.2 and was shallow, at a depth of 12 kilometers, centered in the northwest of the island. It said it didn't have the potential to cause a tsunami. It's the third big quake to hit Lombok in little over a week. Buildings still standing on the island have been weakened after Sunday's 7.0 quake that killed at least 227 people and a 6.4 quake on July 29 that killed 16. Nyoman Sidekarya, chief of the provincial search and rescue agency that covers the Indonesian island of Lombok, tells The Associated Press that the death toll from the earthquake that hit the island on Sunday is now 227. Several agencies have been releasing higher death toll figures than the 131 announced on Wednesday by National Disaster Mitigation Agency, which has a coordinating role in disaster relief. The agency says it has not verified these other figures but expects the toll to climb.